A ZWO ASI178MC camera was placed at the Newtonian focus of a Skywatcher Explorer 130 PDS 130mm, f/5 Newtonian, mounted on a Celestron AVX EQ, GOTO mount. 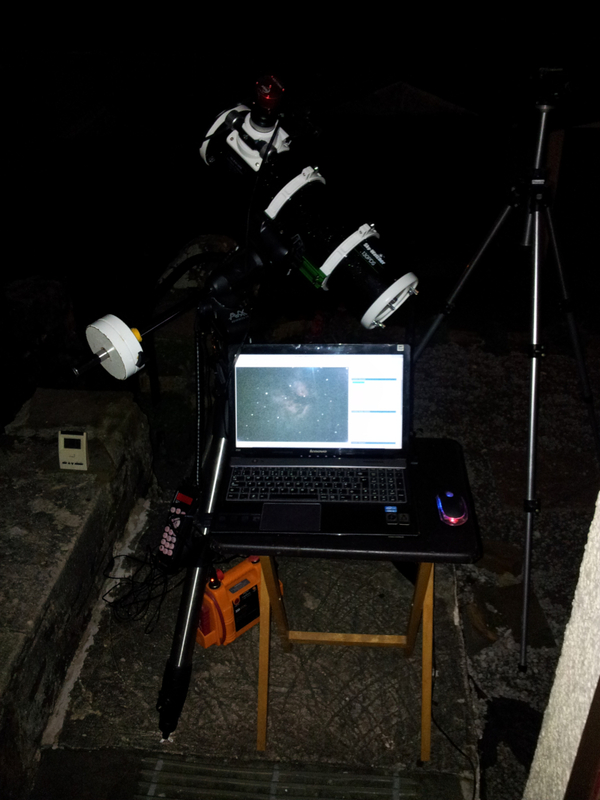 16 bit Tiff images were captured with AstroDMx Capture for Linux. 60s exposures were captured of the Flame nebula with matching dark frames. 25 frames were stacked in Deep Sky Stacker running in Wine. The final image was post processed in the Gimp 2.10, Neat Image and FastStone. 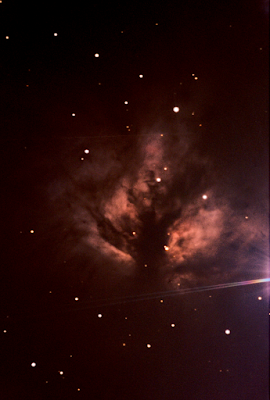 30s exposures were captured of the Running Man nebula. 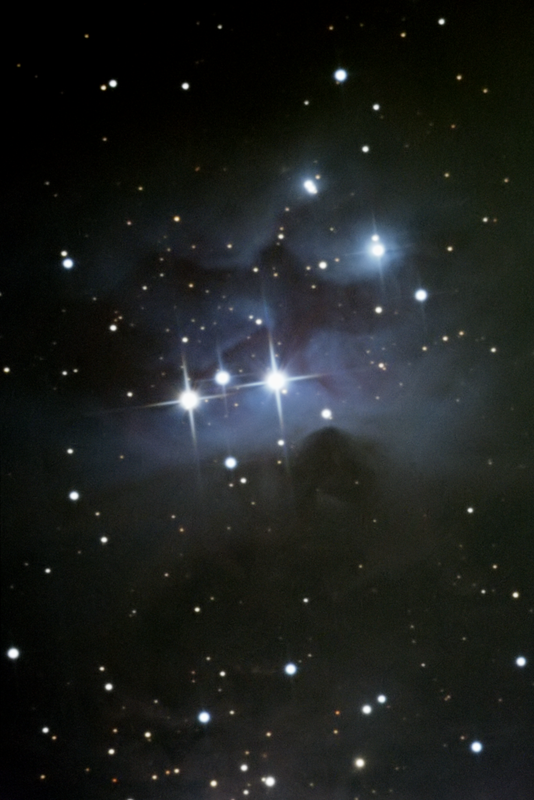 42 frames were stacked in Deep Sky Stacker running in Wine. The final image was post processed in the Gimp 2.10, Neat Image and FastStone.